Providing A Safe Haven for Newborns - A Safe Haven for Newborns | Pregnant Need Help? The mission of A Safe Haven for Newborns program by the Gloria M. Silverio Foundation is expanding as they work collectively with communities toward preventing the abandonment of newborn infants. 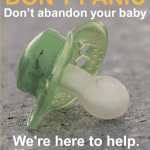 Since the Safe Haven Law was adopted in 2000 and the Foundation was established, 247 newborn infants have been saved at fire stations and hospitals combined. The Florida Fire Chiefs’ Association plays an integral part in the program’s effort, contributing to the achievement of saving lives by participating in the annual Safe Haven awards banquet, collaborating at the Fire Rescue East conference and supporting education and awareness through the Florida Fire Service publication. Special thanks are given to President Daniel Azzariti, Past President Gary Ballard and Chief Administrative Officer William Colburn, as well as those who have served in previous years. A Safe Haven for Newborns is a prototype program for other states and countries. 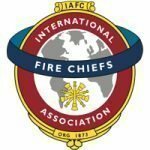 Kingman Schuldt, second vice president of Southeastern Association of Fire Chiefs (a division of the IAFC), has been working with Nick Silverio, founder of the Gloria M. Silverio Foundation, to make expansion information available to the association’s members. To learn how you can participate in this expansion effort in your community, contact A Safe Haven for Newborns founder Nick Silverio.